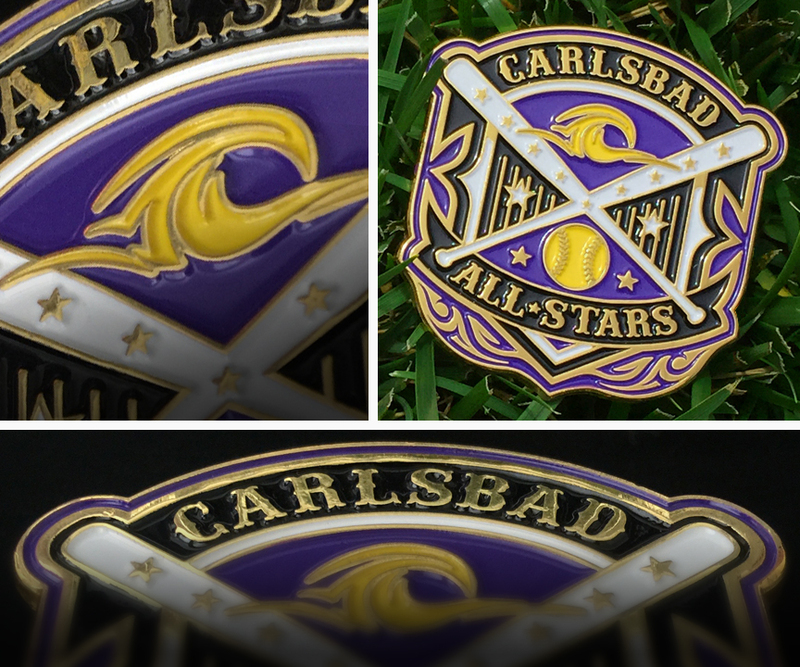 Here are some logos and designs created for the Carlsbad Softball Association. 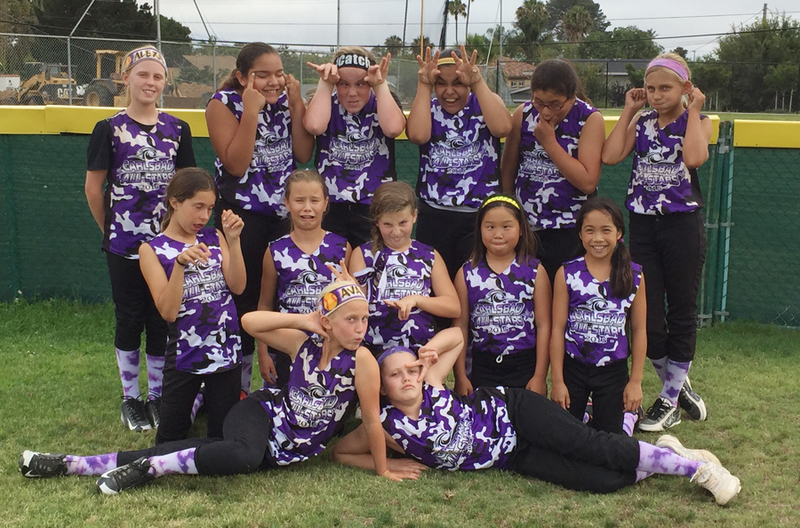 The Girls 10U All-Star Team qualified for ASA Nationals for a second straight season. 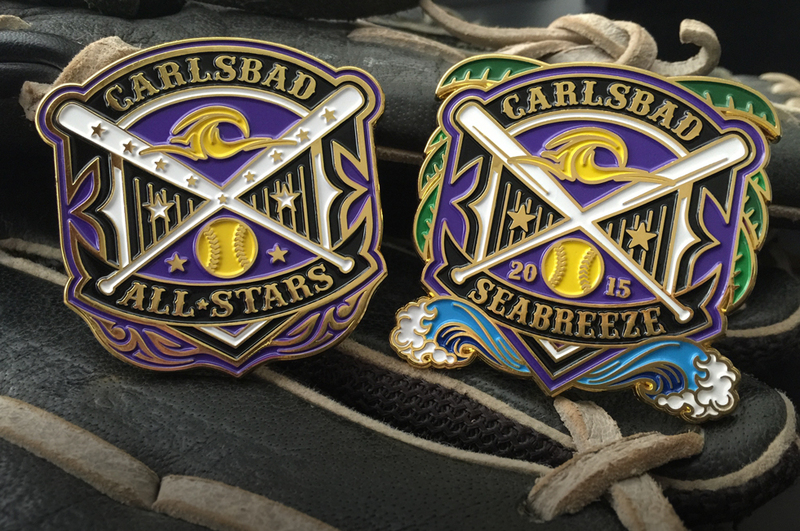 Congrats to all the girls! 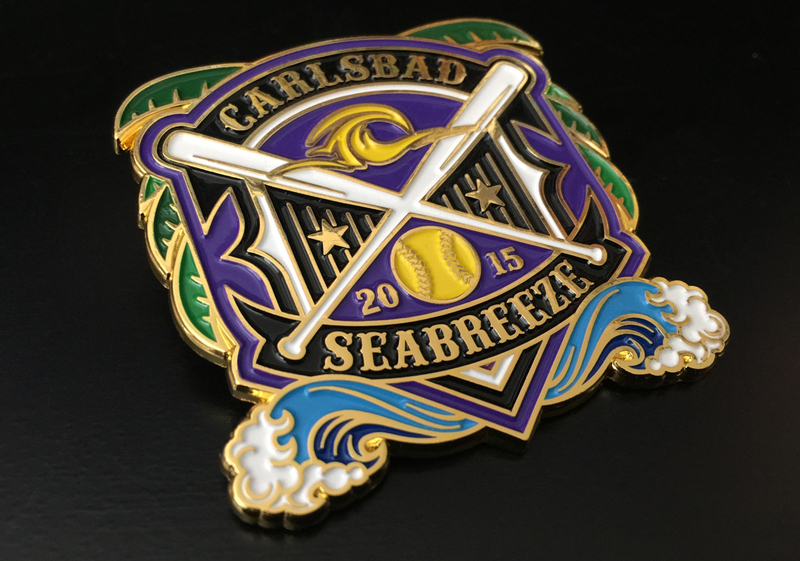 I initially designed a Crest Logo for Carlsbad Softball. 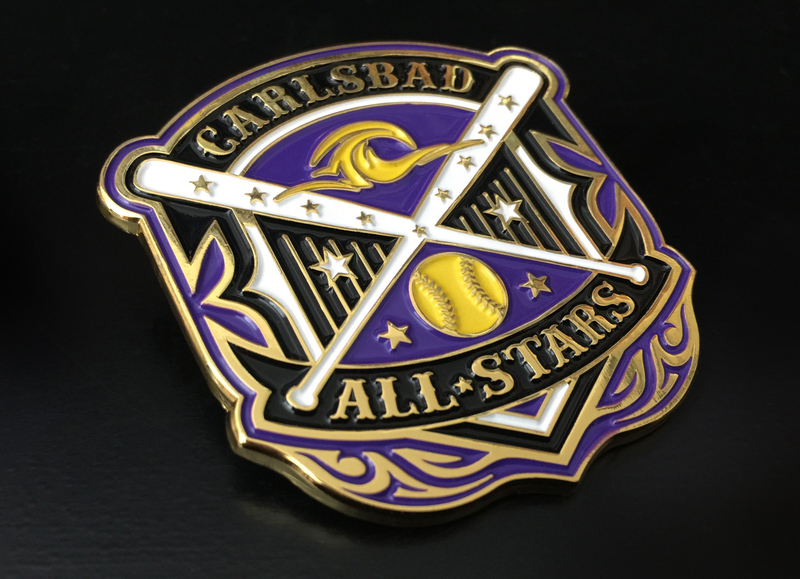 I then used this to create designs for the trading pins and the all-star spirit wear. 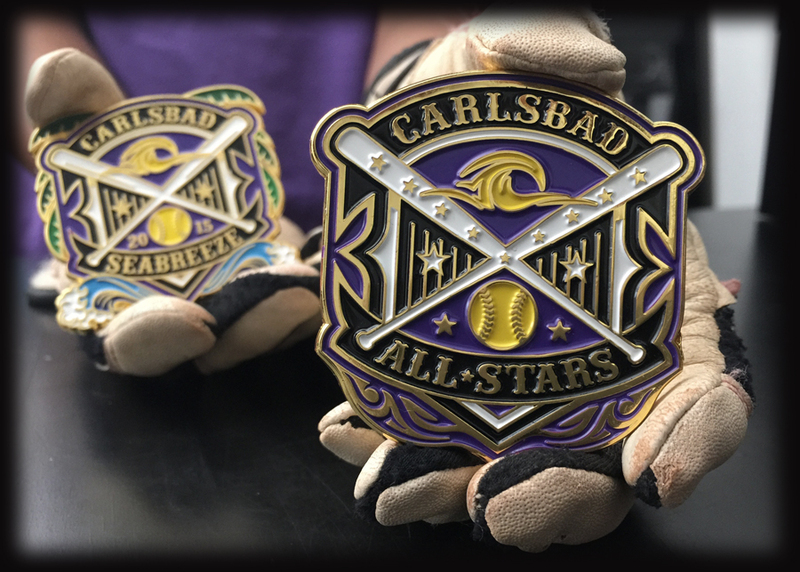 American Patch and Pin did both our pins and they came out looking sweet. Special thanks to Gary and his team. 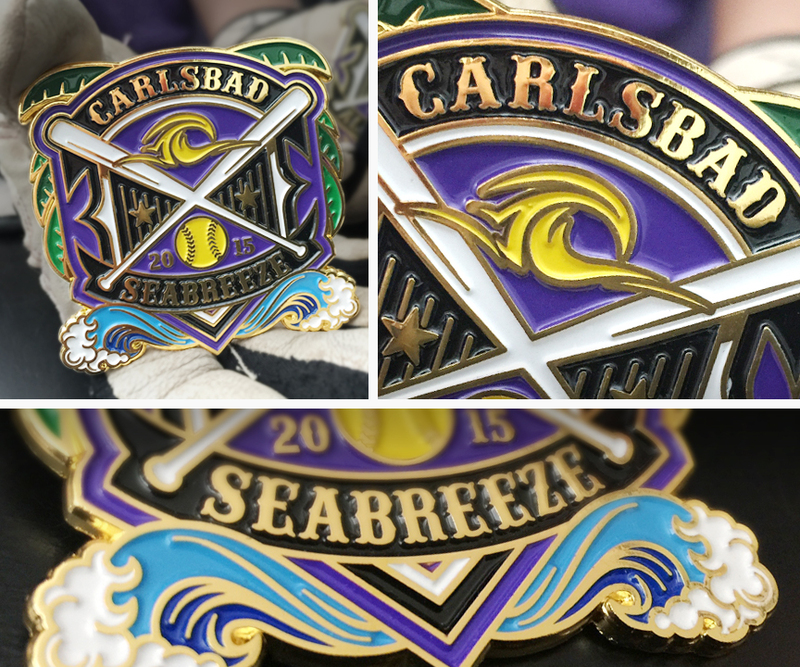 Good luck at Nationals, Carlsbad!